Tatjana Schneider joined the School of Architecture at the University of Sheffield in 2004. 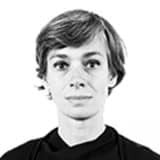 She is interested in expanding the theoretical and practical scope of dominant architectural debates and discourses by questioning normative ways of thinking, producing and consuming space. She is co-founder of the research centre ‘Agency’ and was founder member of the workers cooperative G.L.A.S. (Glasgow Letters on Architecture and Space), which aimed to construct both a theoretical and practical critique of the capitalist production and use of the built environment. Her work is referenced globally and has won a number of prestigious research awards, including the Royal Institute of British Architects’ (RIBA) research award for practice-located research (2012 – with 00:/ architects and C Cerulli) and for outstanding university-located research (2007 and 2011 – with J Till). G.L.A.S received a National Achievement Award in recognition of the co-operative’s outstanding contribution to a critical dissemination of architectural knowledge from the Scottish Government in 2004.